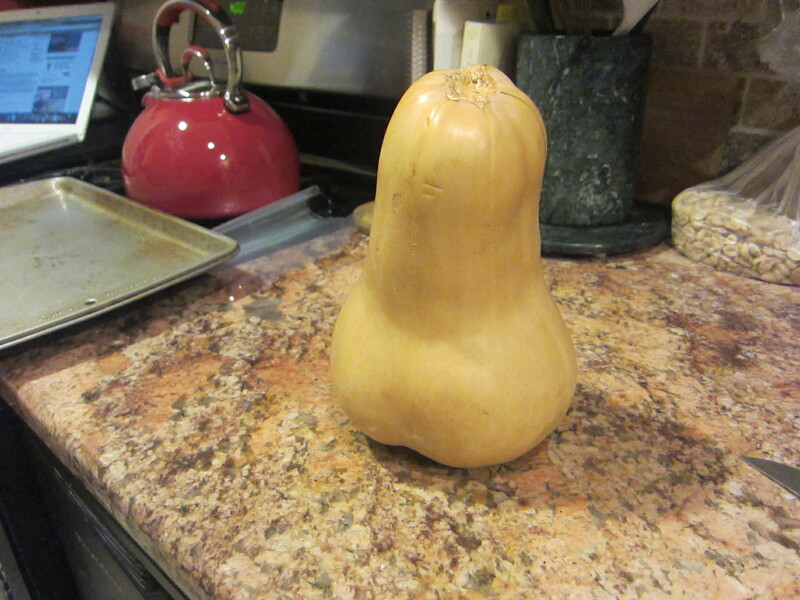 That being said, I felt the longing to suddenly use a squash this week (to mourn the needless death of the last one), so I got one from Wegman’s today- and promptly put it to good use. Had to, right? 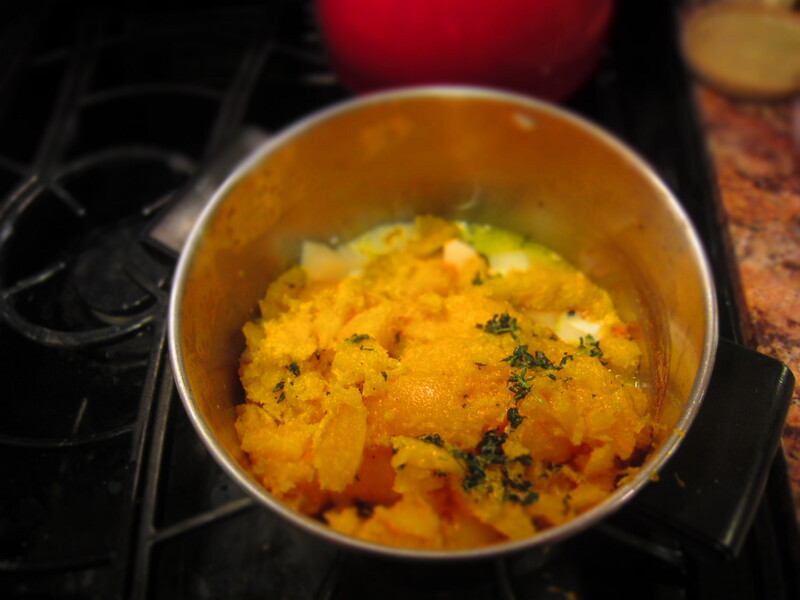 I found a good recipe online for a squash/potato mash side, and went w/it. 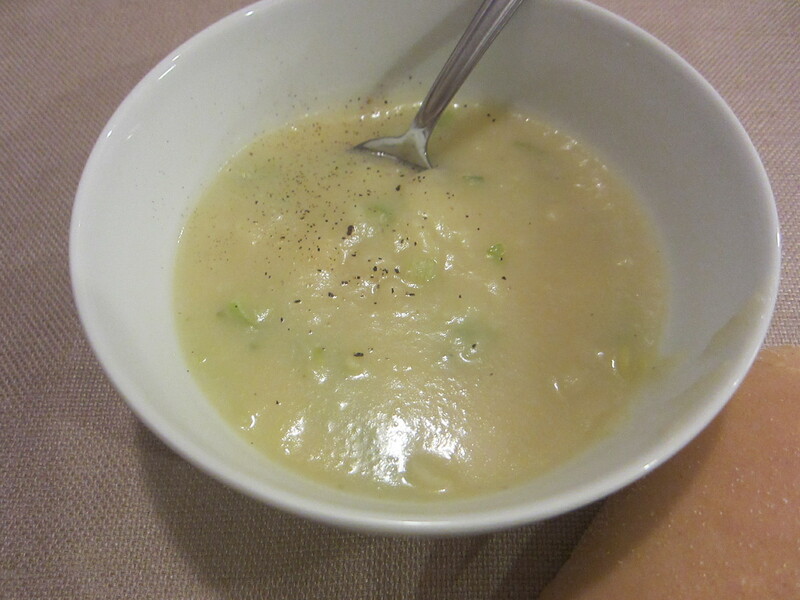 I had nearly all the ingredients- apart from sour cream, which I subbed w/milk. Seems good enough- and, smells great. Just waiting for the roasted chicken, and I’ll let you know how it went! 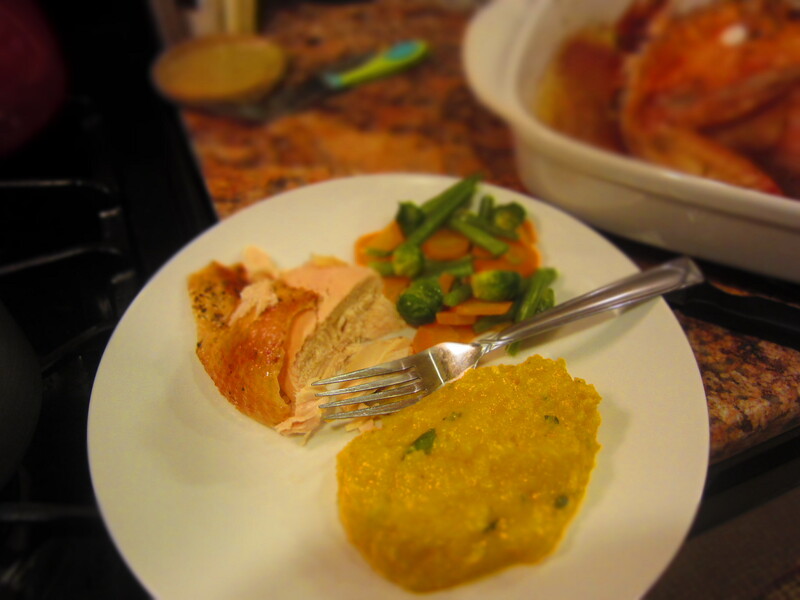 And, I realize that so far as flavors as concerned, one might not generally serve Brussels sprouts w/roasted chicken, but…I figure that if this is the only meal (or, most likely the only meal) where we’ll all eat veggies, I may as well stuff whatever veggies I have lying around into each and every meal. Therefore, we have one weird veggie side at every meal- weird being that it might not be a complimentary flavor. 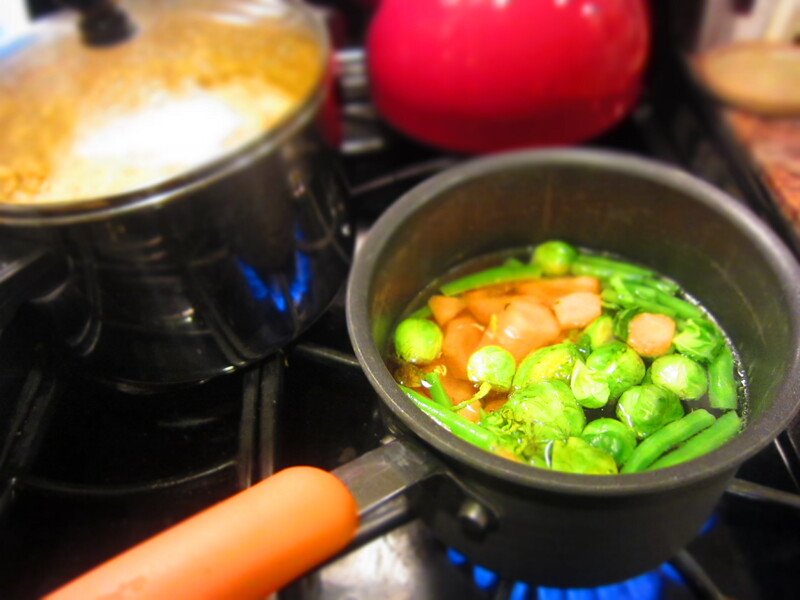 It’s just “veggie.” For tonight’s dinner, apart from the potato/squash mash, we have Brussels sprouts, green beans, and carrots, in one pot- yum! After the first bite of the squash/potato side, E said it was “really good, not too over-seasoned either”…high praise, indeed! Hey, I’ll take what I can get… 😉 Anyway, it has the flavor of the squash, w/the texture of mashed potatoes, w/just a hint of thyme…really good! 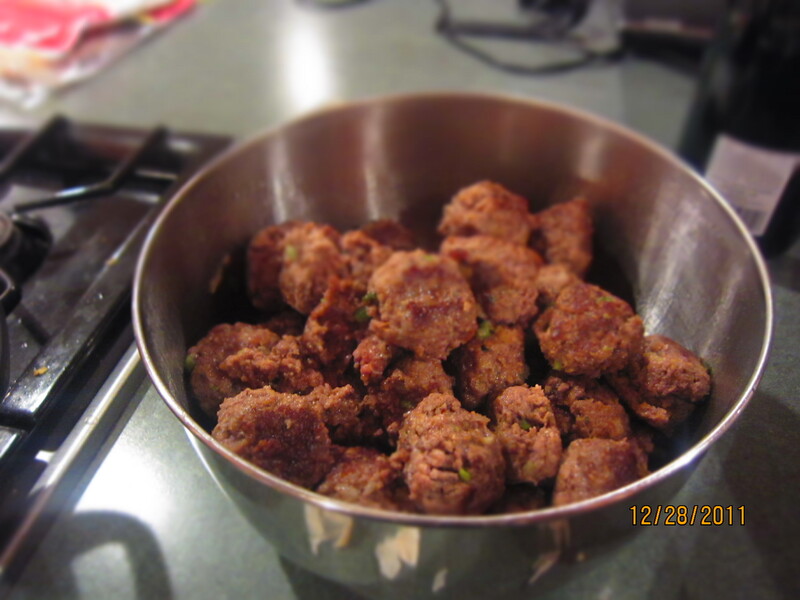 It’s weird to be “known” for a dish, especially when it’s meatballs- but, I’ll take what I can get! 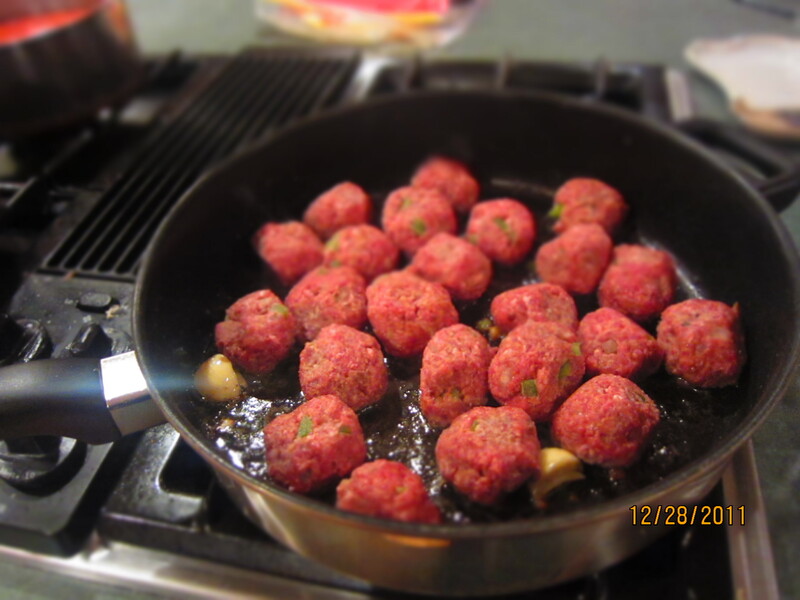 😉 We’re away this week w/family, and each couple took one night to make dinner- on our night, I made spaghetti and meatballs, and everyone was pretty excited about that. Just made me laugh- this is the most simple thing I’ve ever made, but it’s always well-received. 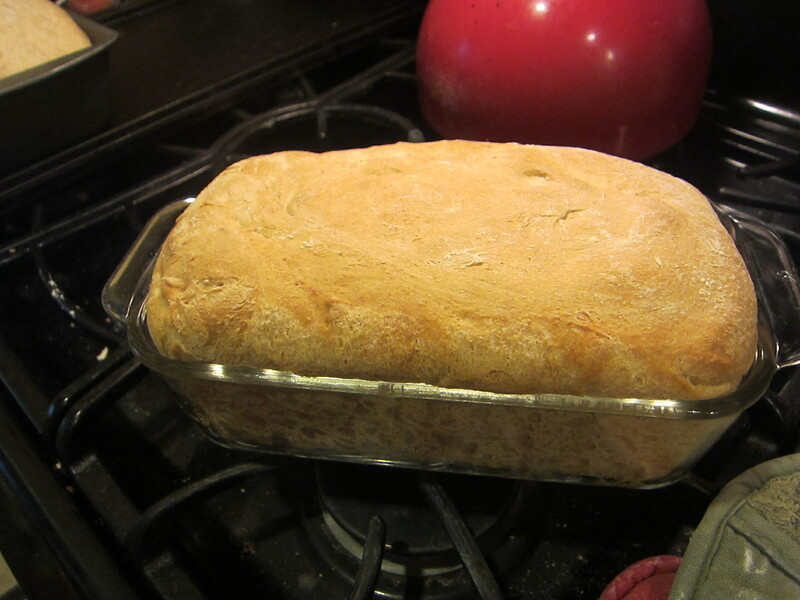 Making bread came from a suggestion for my 2012 Challenge (thanks,Marjorie! ), but it’s definitely something I had been wanting to do. I’ve avoided doing it before, though, bc as previously noted, I am a terrible baker. Truly. I hate the exactness required for baking, which is why most of my baking adventures turn into baking disasters. However, I’ve been reading through bread recipes lately, specifically the comments, to see if I could find a seemingly “fool proof” one. And, after choosing this one from AllRecipes, armed w/my measuring cup (ugh) and ingredients, I set out to give honey wheat bread a try. I picked honey wheat bc this is what we usually use for our sandwich bread. Start out by dissolving the yeast into warm water. Then, add in the honey. After that, the rest of the ingredients follow- I had a tough time trying to get the dough to accept all of the flour, though. Seven cups of flour is a lot! 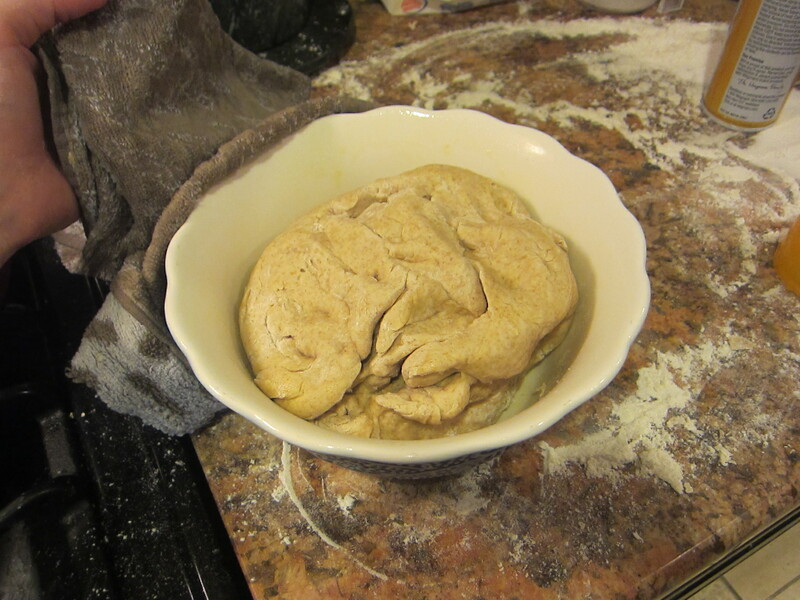 Then, leave the dough in a greased bowl and cover w/a damp towel. It’s supposed to rise to near double in about 45 mins- mine took a bit longer. 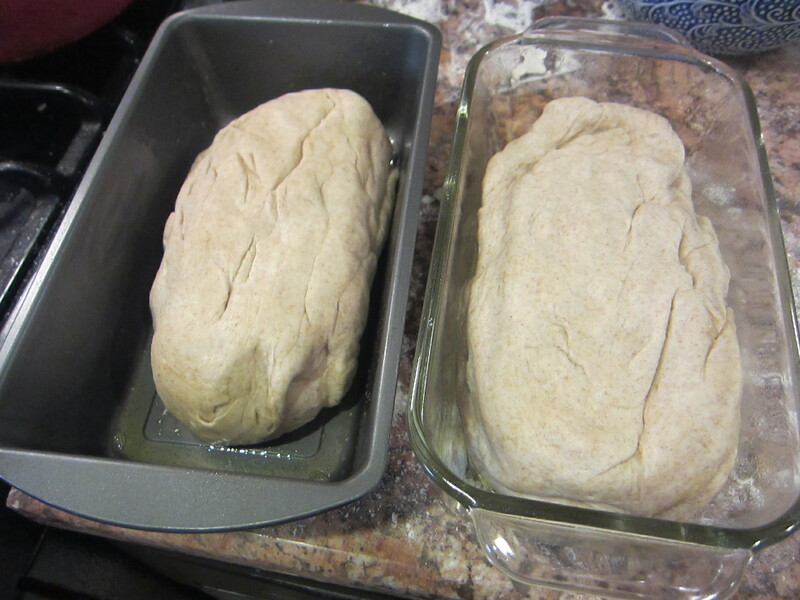 Some of the comments on the recipe said to put it in a warm oven (heat up the oven on low for just a few minutes, turn it off, and add the dough, just to keep it warm), which is what I did w/the dough loaves later on bc they were taking forever to rise. 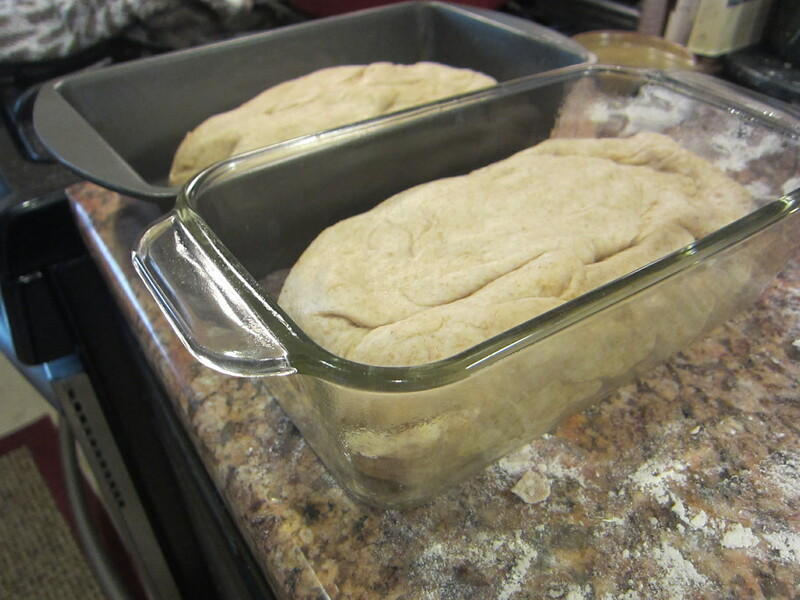 Once it rises, punch the dough down, divide it into two loaves, and add each loaf to a greased loaf pan. 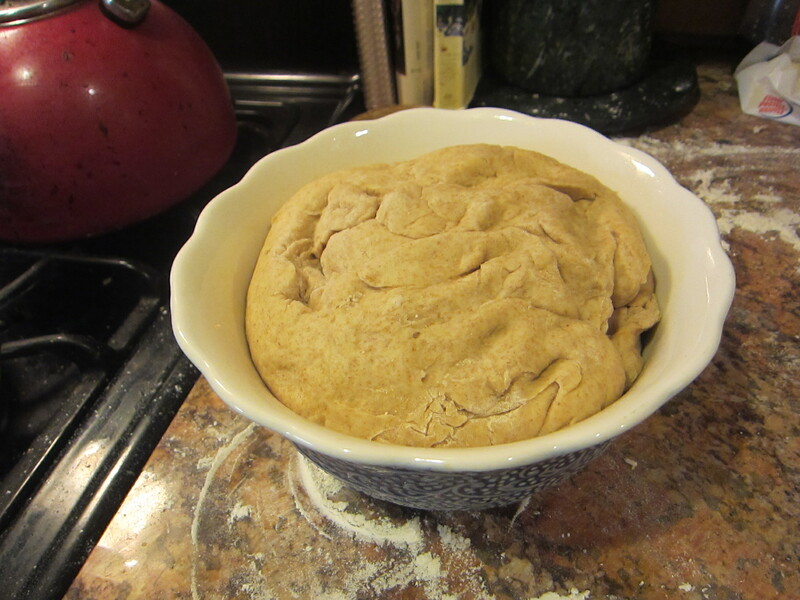 Now, it needs to rise to about 1-1/2 inches above the top of the pan. 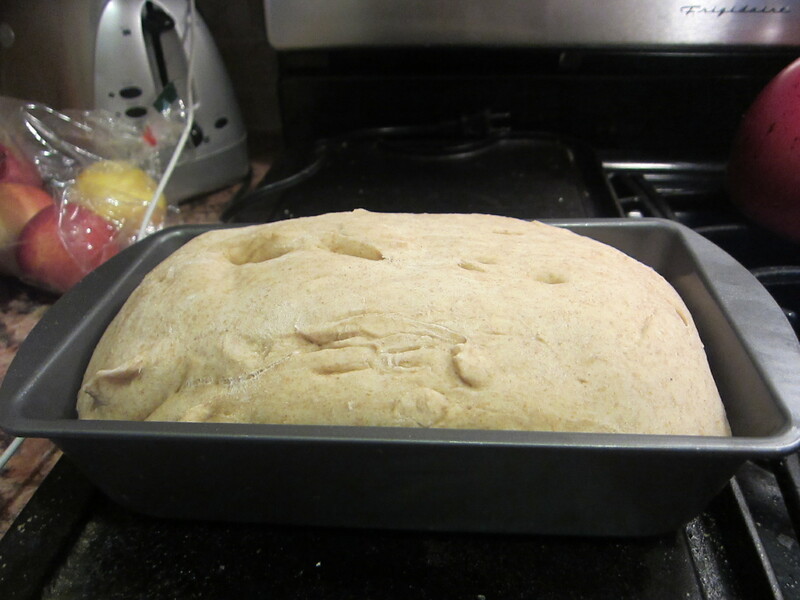 Only one of my loaves has risen this high- the other one might never bc I think I divided the dough unevenly between the two pans…we shall see. Anyway, the first loaf is in the oven- 375 for 25-30 mins. I am dying w/anticipation- seriously, it looks like real bread! It’s kinda lumpy and bumpy, but y’know what? It smells like bread! 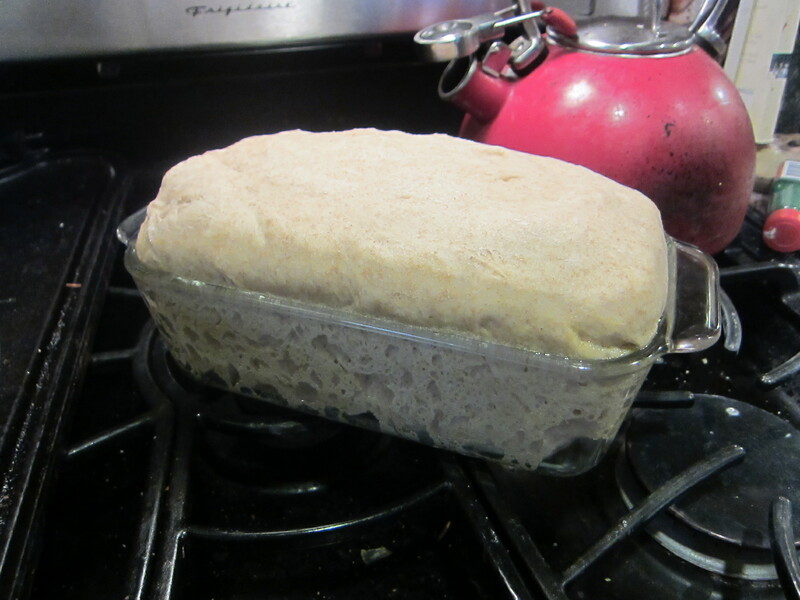 It’s risen, it looks like a loaf of bread…I couldn’t be happier at this point! 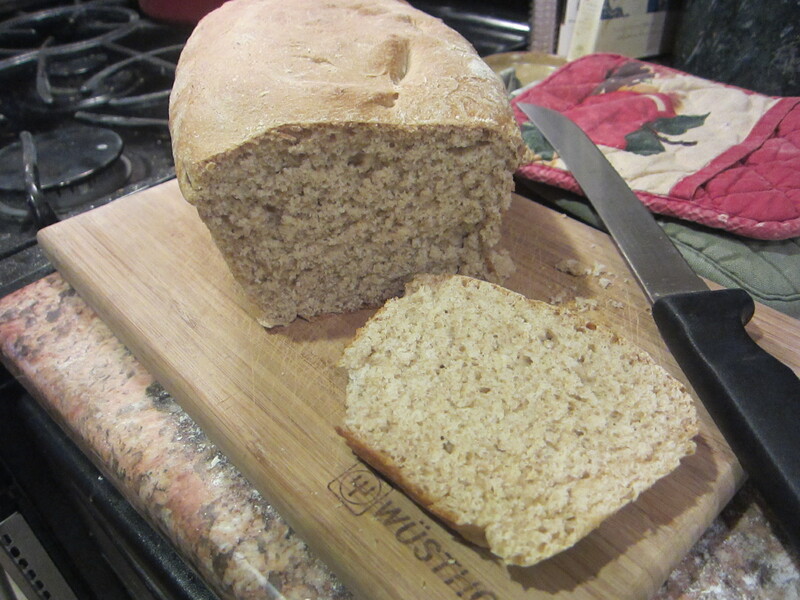 This is a really great recipe- first, the bread is delicious, and second, I successfully made bread! The credit totally goes to the simplicity of this recipe! It did take me a lot longer than the recipe suggested (they said 2 hrs, it took me about 5-6) bc my bread took its sweet time rising, but that wasn’t a problem since this was just an experiment, not something I needed at a certain time. 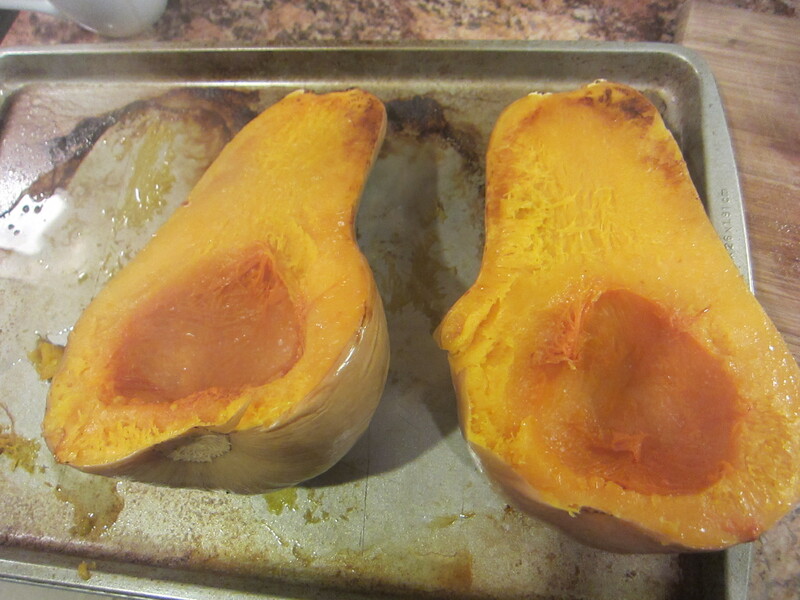 And, I think I will use the warm-oven trick for next time, to see if it speeds up rising time. The second loaf is a lot smaller, since I didn’t divide the dough completely in half, but it still looks good! Anyway, this is a great recipe, and I’ve even used some slices tonight for grilled cheeses…E loved it, too! I know that I ordered leeks for a reason when I made our last CSA order; I’m sure of it. I mean, I must have had a plan, right? 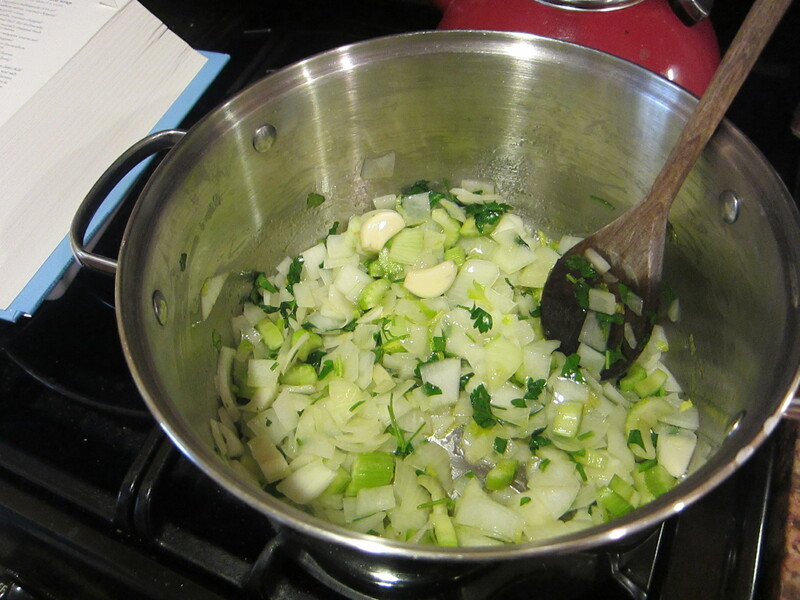 Well, I may have, but since we have to order two weeks in advance, I totally forgot what I wanted to do w/leeks! 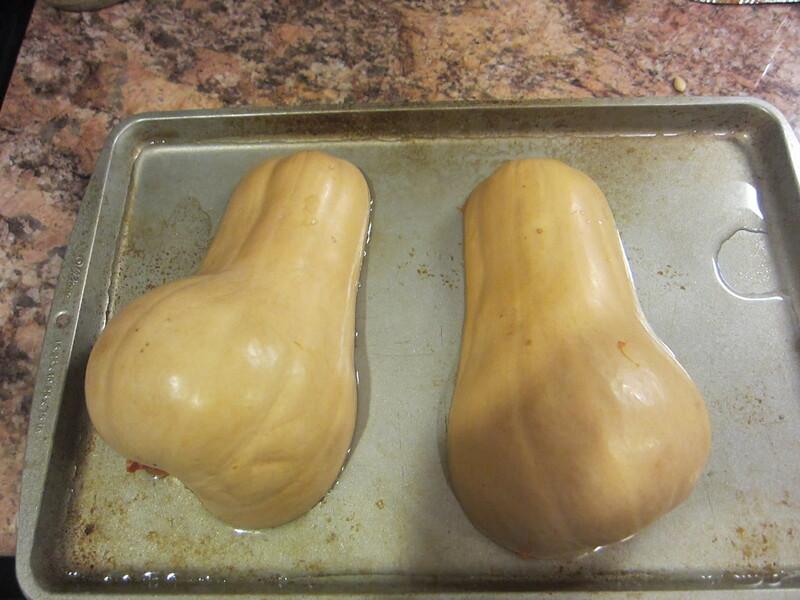 So, off to AllRecipes.com to see what to do…I also had loads of potatoes, too, so this recipe just worked out perfectly. 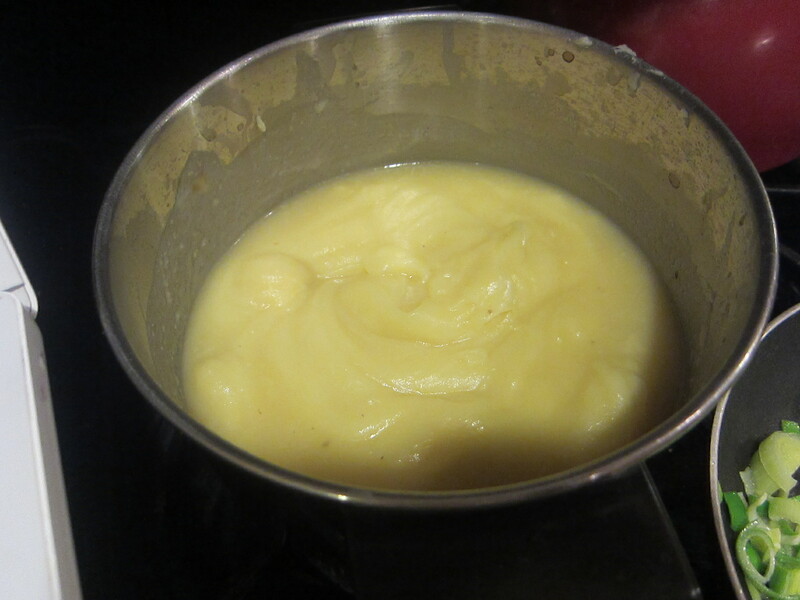 So, once tender, I put some of the potatoes in the blender in batches to puree w/a bit of the stock. I had to keep adding in stock to this bc once I was done (and i left some of the potatoes whole bc I like the chunky-ness), it was almost like creamy mashed potatoes- sooo thick! 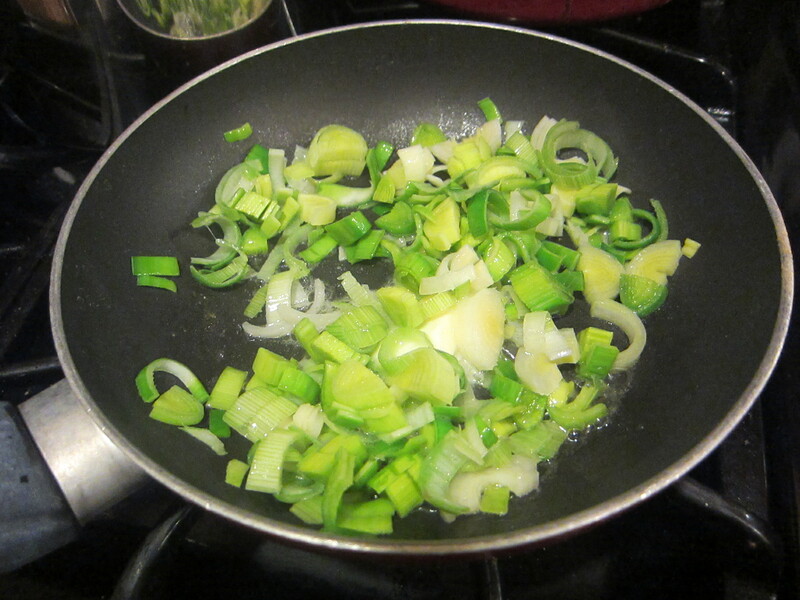 Next, slice the leek(s) and saute w/butter and alittle white wine. 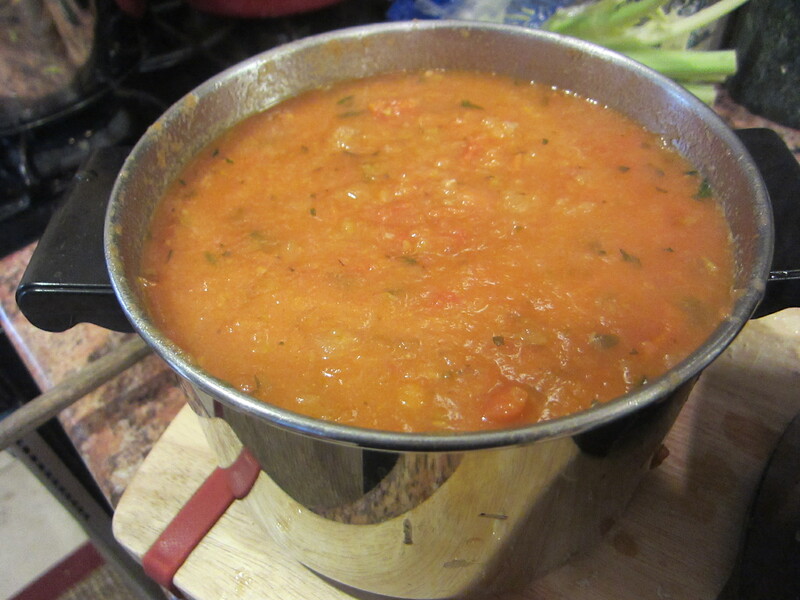 Then, toss that (w/even more stock, sheesh, too thick still!) back into the potato pot, and heat through. I had just gone to the bakery this morning for sandwich rolls- which is why I’m eating this w/a hoagie roll instead of a baguette or something. It’s just delicious! 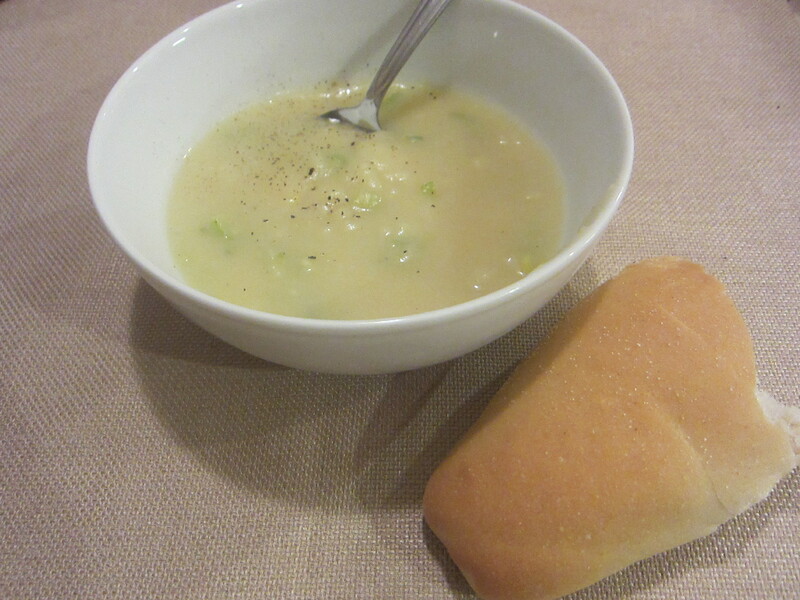 I think, though, that you could do loads more w/this recipe…I may even add in chicken next time. Ie, rooster in wine, which is why I originally bought the silly rooster from our CSA to begin w/. And, he did not disappoint. Although, these pictures might make it seem like our meal was disgusting bc for some reason, they kept coming out darker so our stew looked almost black- which would have been gross, but it’s completely untrue! 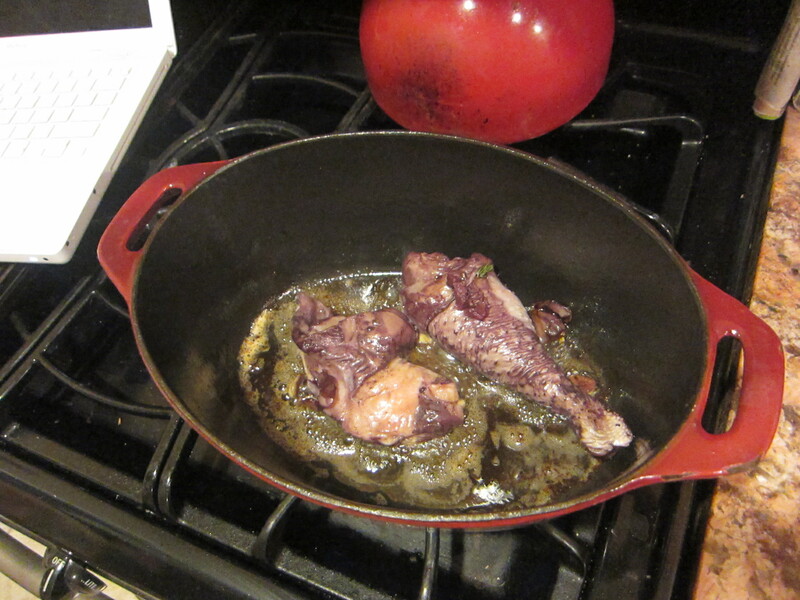 That said- here goes…coq au vin! (This version is loosely adapted from looking at recipes from the Epicurious website and previous experience making Coq au Vin). For those of you butchering your own rooster: After butchering, I separate the rooster into drumsticks, thighs, four breast pieces and put them in water in a glass tupperware dish and then keep covered in the fridge for at least two days. I put the back, neck and wings into the stock pot and cover generously with water. 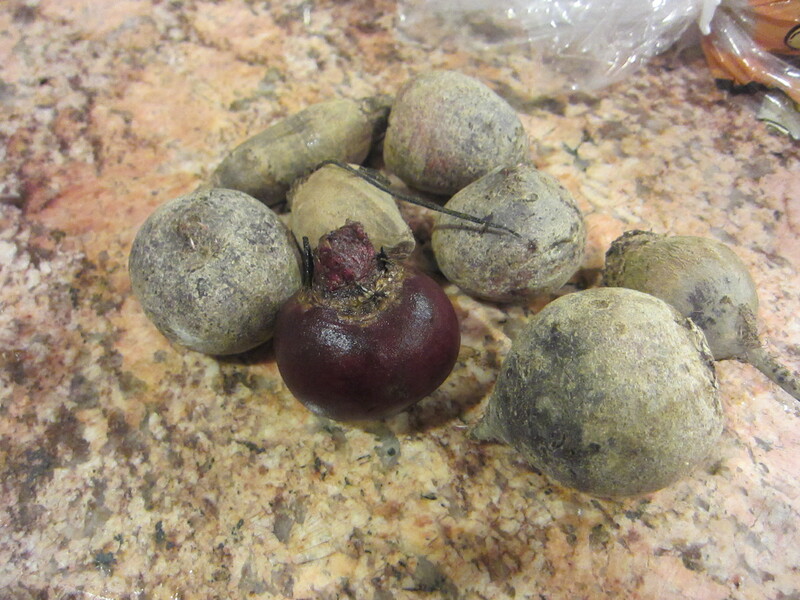 Bring to a boil, reduce heat and simmer off and on for two days. (this is my lazy stock: simmer until I have to go out, then turn off and leave on the stove, then turn back on when I get back inside. At night I just put it outside to keep cool, then start er back up in the am. 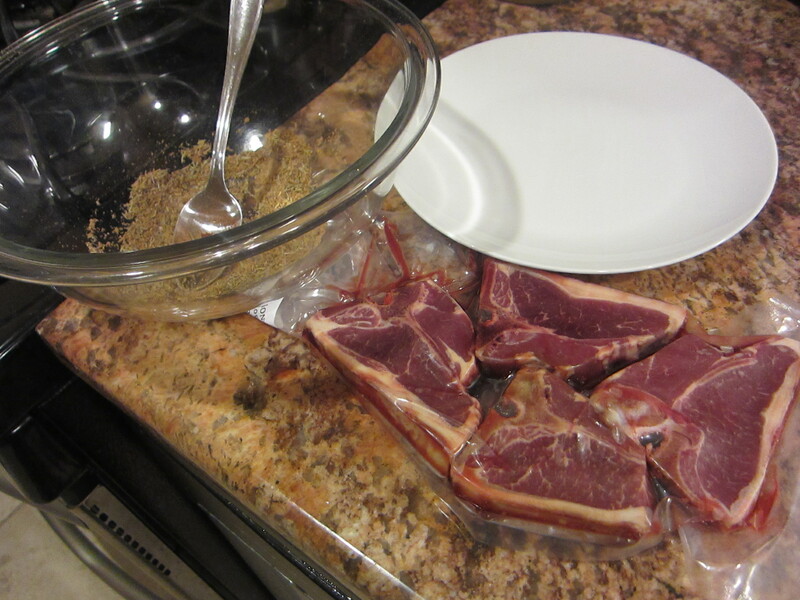 After a few days, I strain out the meat and bones, and then reduce by half.) For this particular gastronomic event, the rooster was soaking in water for four days before I got around to making the stew. 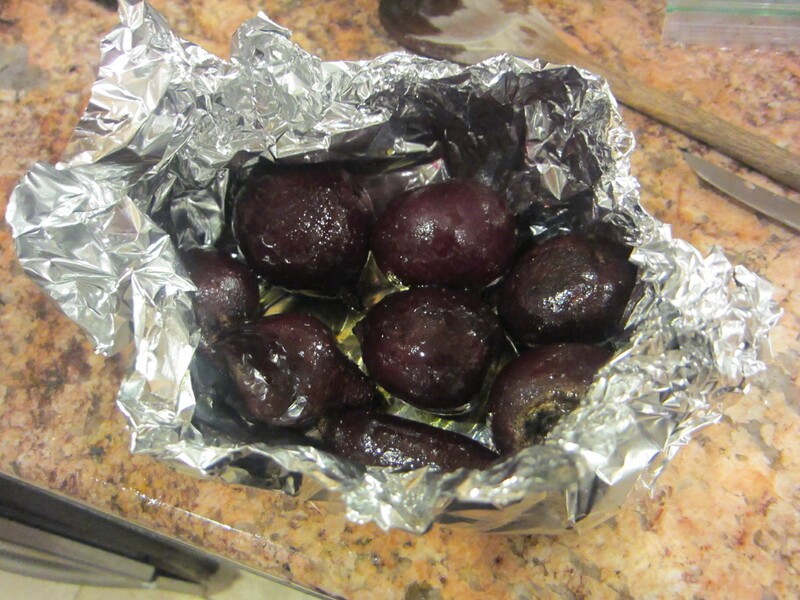 Soak the rooster pieces, garlic, bay leaves and shallots in wine to cover, overnight, up to two days. Usually I add thyme leaves here, but this particular time I prepped the dish late at night and didn’t feel like going out in the garden. Plus it was raining. 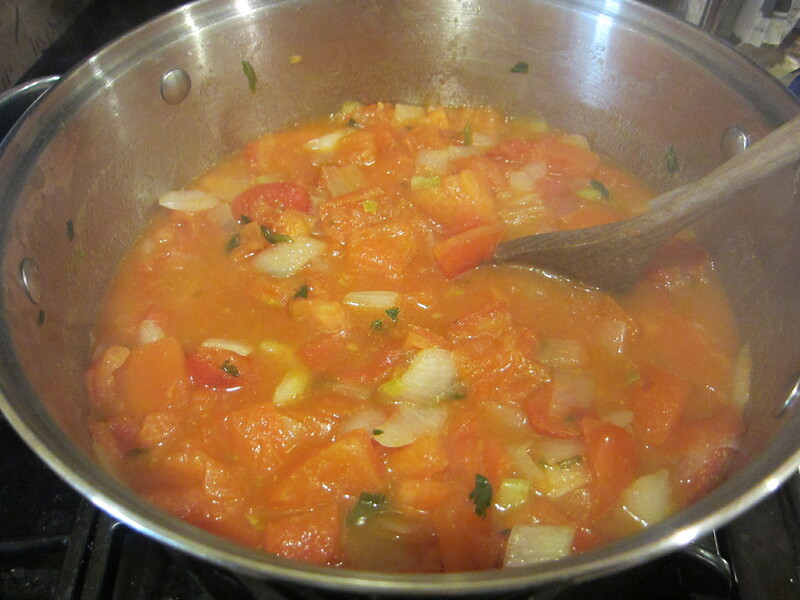 Also, many recipes will call for chopped onions and carrots to go in the marinade. I like doing this too, but was too lazy this time. 1. 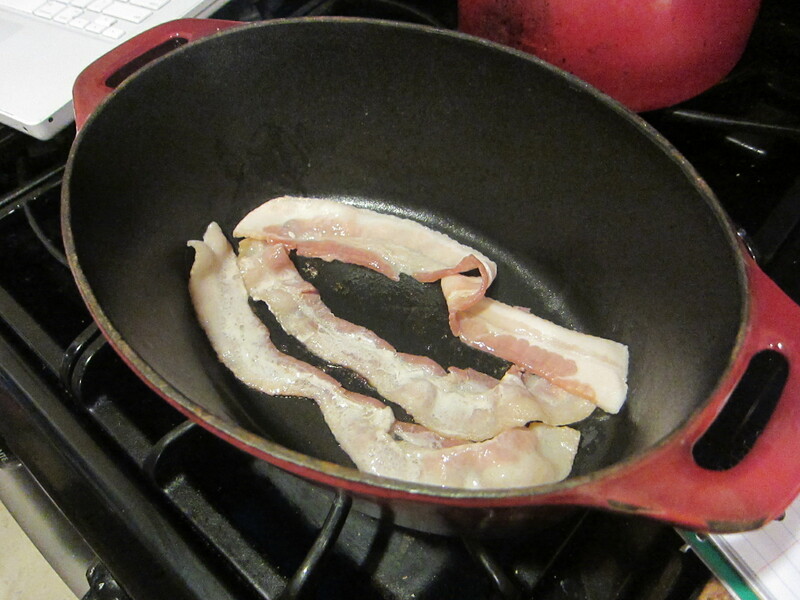 In a 3 quart minimum heavy pot (I use a Le Creuset, but you could use any stainless steel), cook bacon until browned. Remove to a plate. 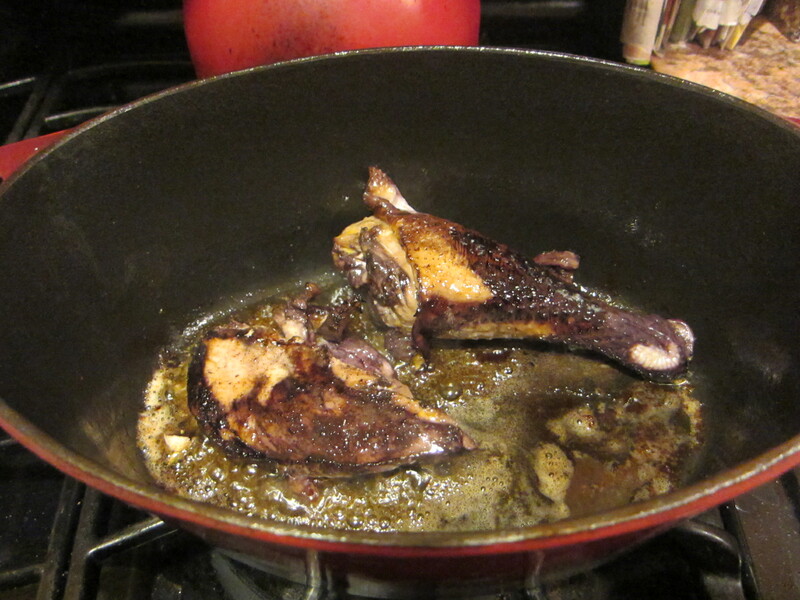 If there is not enough fat from the bacon, add bacon grease or olive oil, heat and brown the rooster pieces. Sometimes I just leave the bacon in. 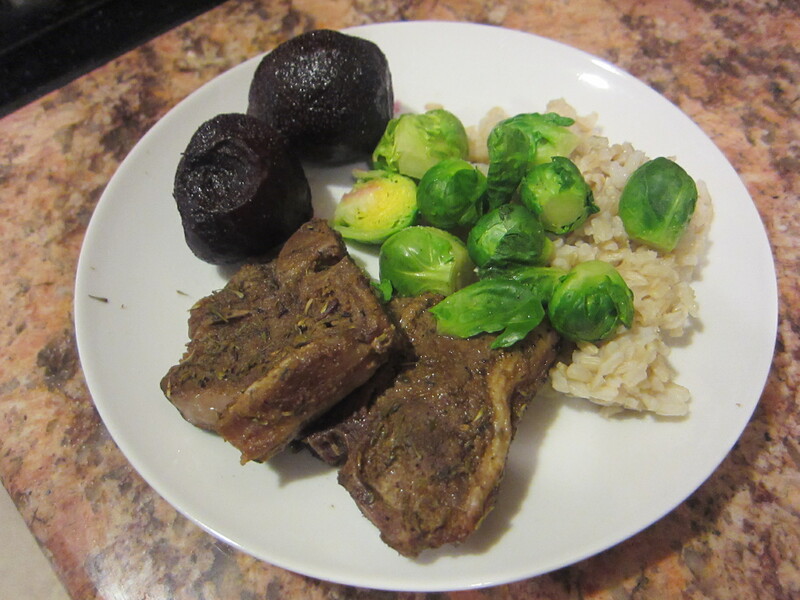 Remove to a plate when browned. 2. 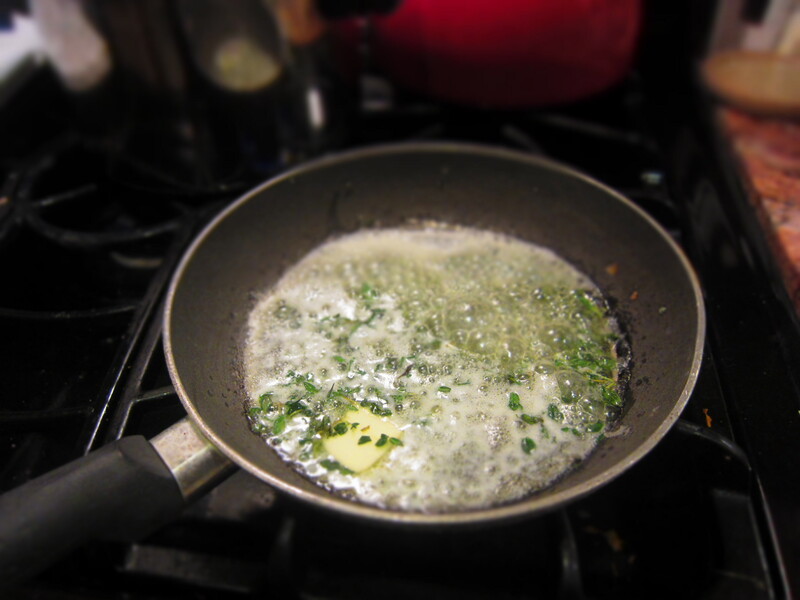 Add bacon grease or olive oil as needed in order to saute onions. 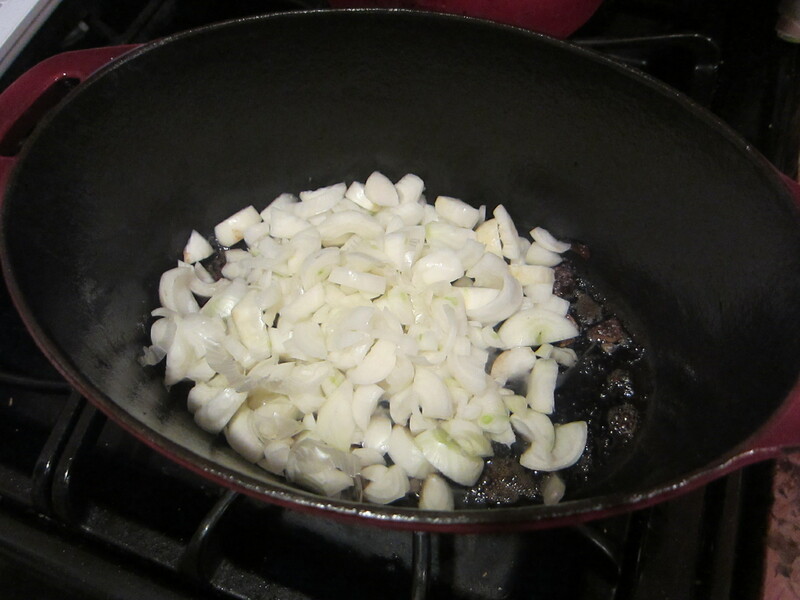 Saute onions with sea salt till tender, add garlic and shallots and saute for a minute or so. Add thyme. If the pot gets dry I just throw in some wine. Add the mushrooms and saute for several minutes. 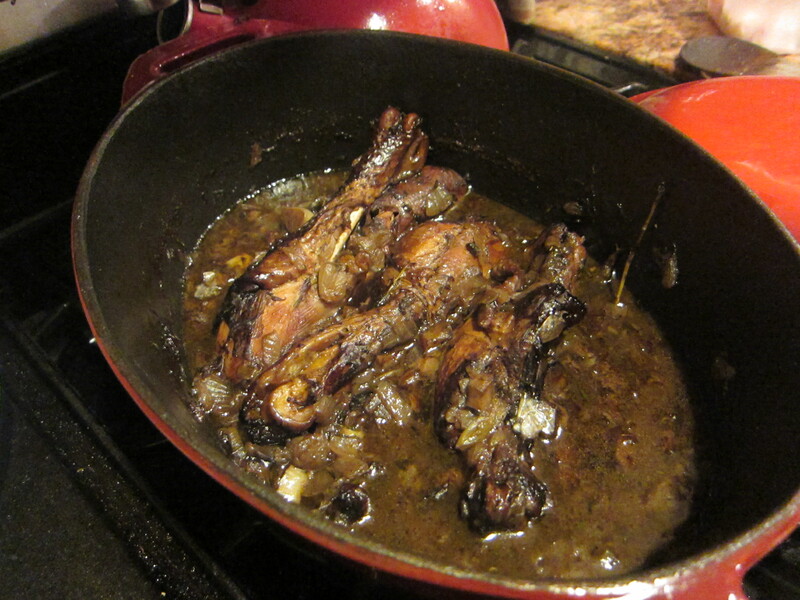 Add rooster pieces, marinade and additional liquid to cover to the rooster pieces. I add wine if I have a bottle open. This time I used two cups of condensed home-made stock, salt free. Add freshly cracked black pepper to taste. I used probably just over a half-teaspoon. 3. Cover the pot, bring contents to a simmer, reduce heat and simmer, cover ajar, until the rooster is tender, 2-5 hours, depending on your stove and the rooster. I only had to simmer a few hours till he was falling off the bone. 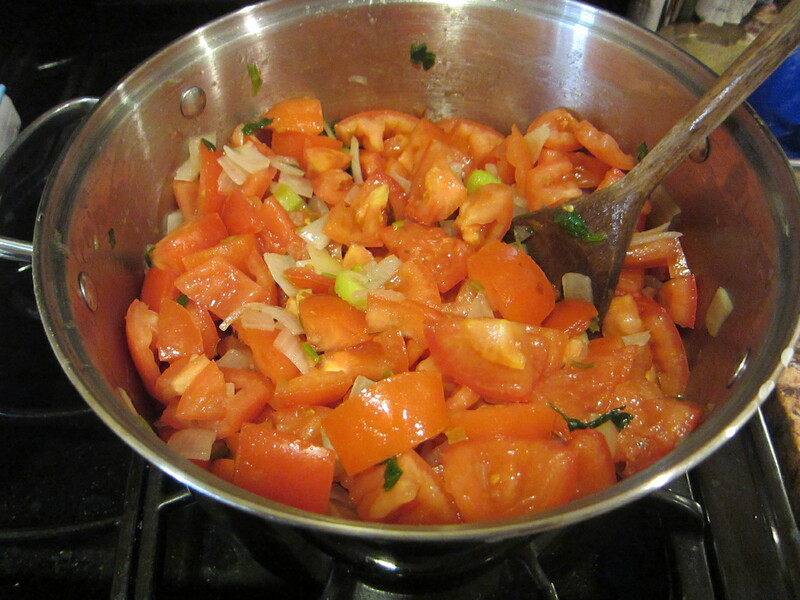 At this point, I take off the lid and simmer more vigorously to reduce liquid. This step will depend on how much gravy you want with your stew. 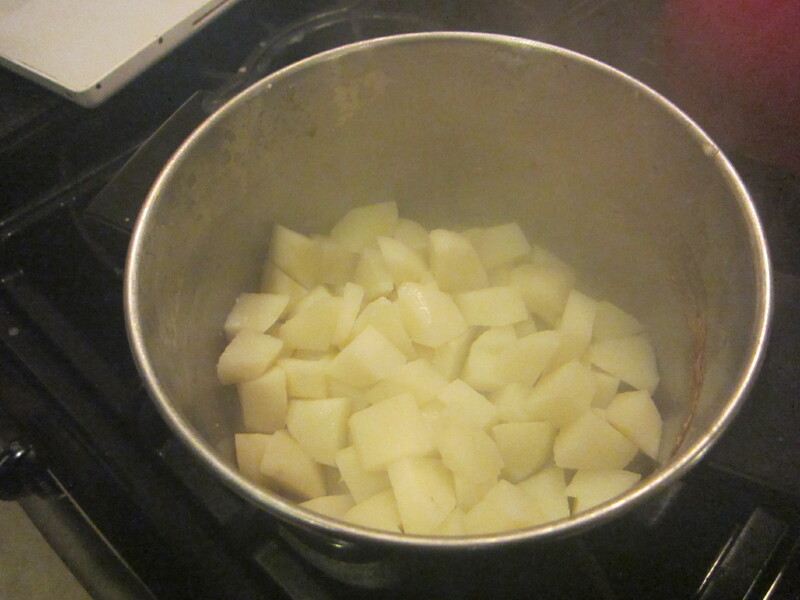 We like a lot to pour over mashed potatoes, so I don’t reduce too much. 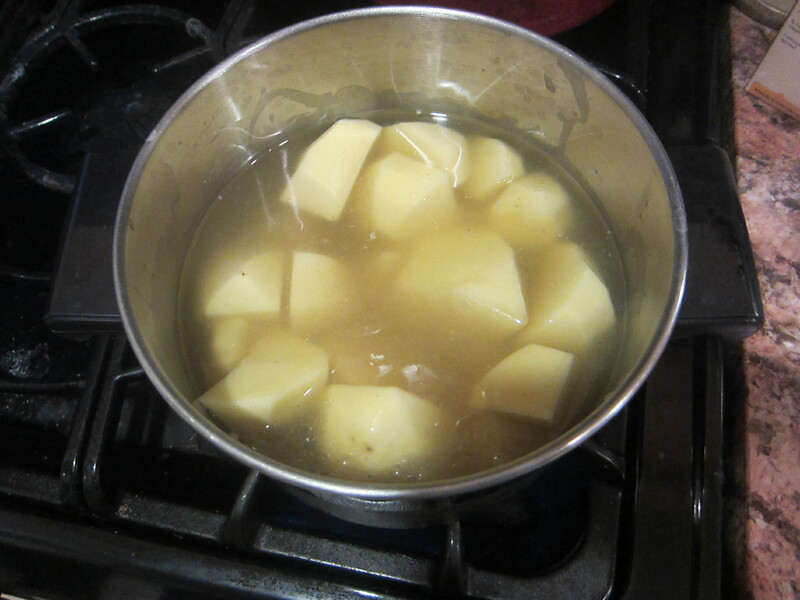 I also don’t add flour at any stage, because I like the natural gravy that long stewing creates. 4. 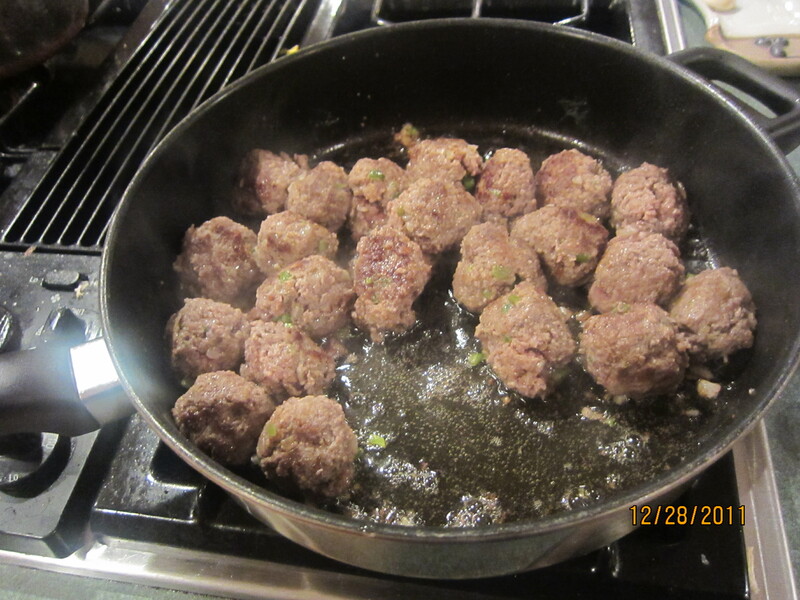 Serve with mashed potatoes (I keep them lumpy and simple -not too much butter or milk to compete with the rich gravy. Definitely no cheese!) and steam-sauteed greens. A favorite is kale or collards, but we served chard last night since we expected a frost, and the chickens have been getting out and having their way with it. Red wine accompanied the meal. And for dessert, of course, homemade apple pie with the last apples from our trees. Bon appetit! 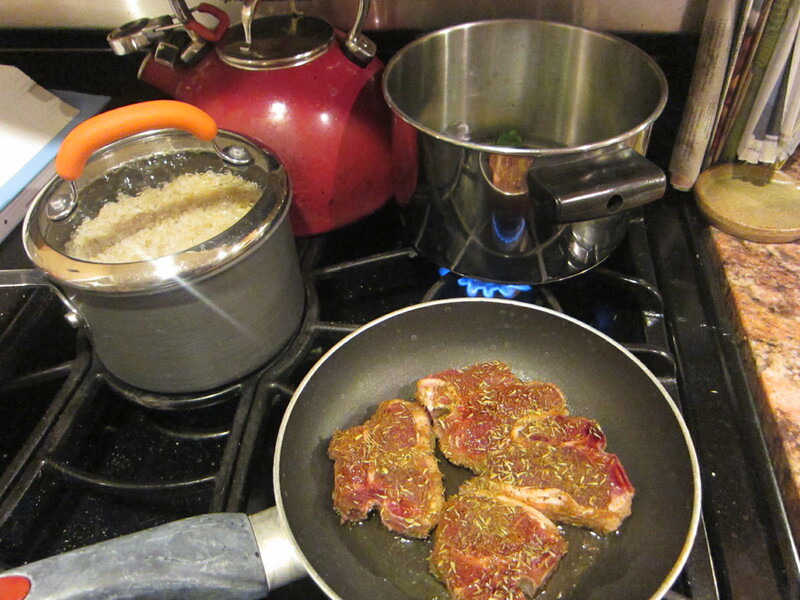 Browning away...this smelled sooo good, btw! So, if you ever find yourself in possession of a rooster, give this a try. If not, still try coq au vin, but use a chicken- I was really jealous of Martha Stewart’s coq au vin…wouldn’t have worked w/Mr Rooster, but I may file it away for later. Over the holiday weekend, I bought a(nother) Martha Stewart cookbook. Bc I love them (and, it’s pretty). This is more of a photo-dump kind of post, mainly bc I made this a few days ago, and don’t remember the steps exactly. 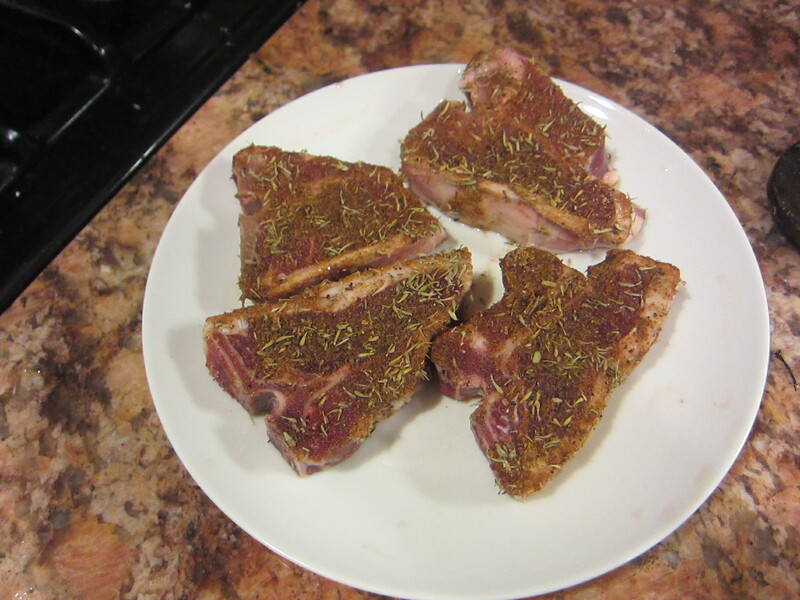 But, the recipe is linked above, so check it out. 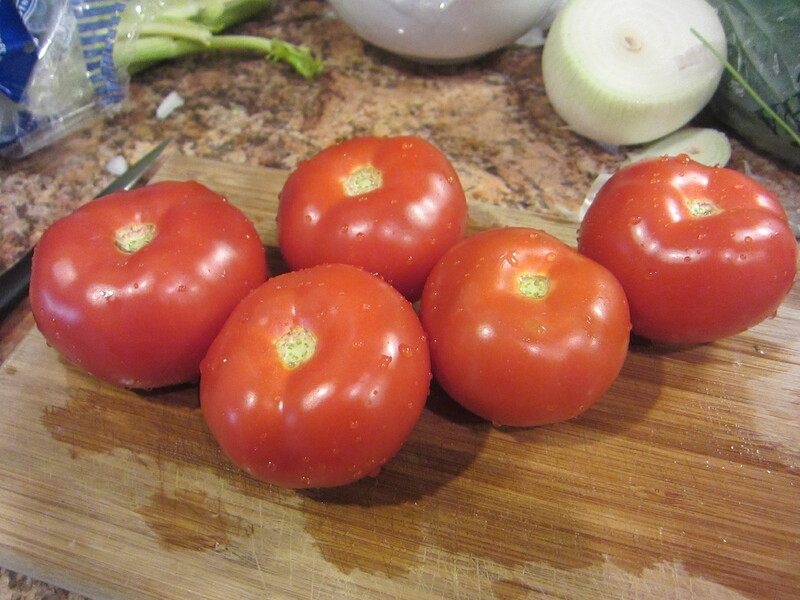 Also, I don’t have a food mill, so when it was all finished stewing, I poured the mix into a colander (where the juice stayed in a pot), and put only some small portions of the solids (the tomatoes, celery, etc) into the blender. 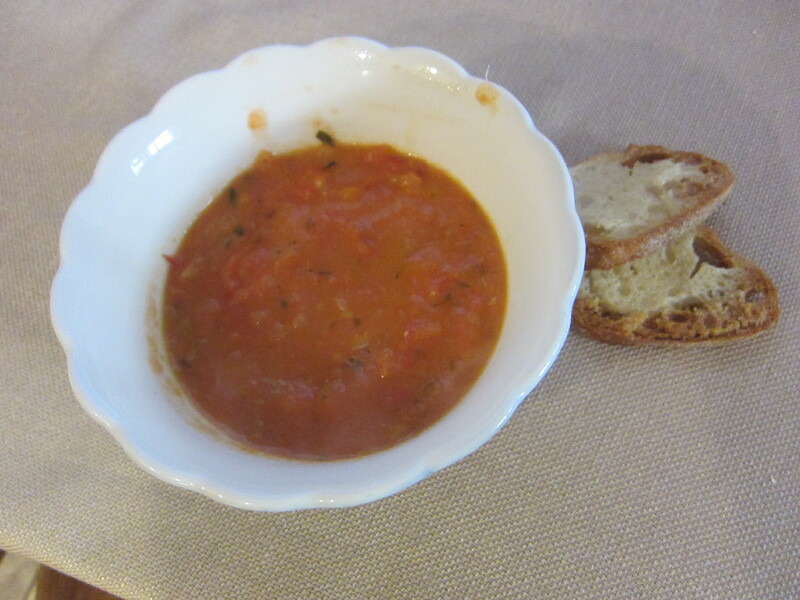 My “soup” is really chunky, so it’s more like…watery salsa (that sounds gross, but this wasn’t!)? Anyway, it was great w/the crostini! 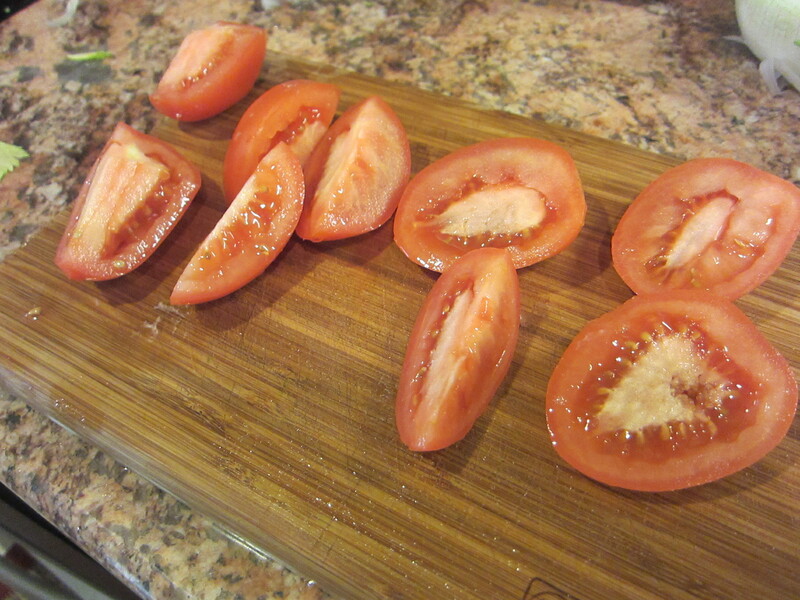 Definitely worth buying a giant bag of tomatoes for…or, if you’re smart, waiting til the summer when they’re cheaper. Anyway, super-good!